Portland, Maine- The Portland Sea Dogs are changing their name…for one night anyway. 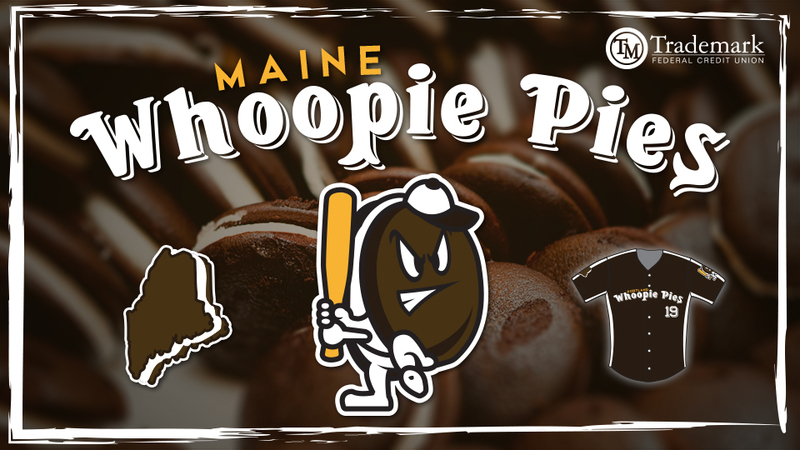 The Sea Dogs will become the Maine Whoopie Pies, presented by Trademark Federal Credit Union, on Friday, June 21st when they host the Reading Fightin Phils at 7:00 PM at Hadlock Field. The name change is in celebration of the official state treat of Maine: the whoopie pie! Tickets to see the Maine Whoopie Pies in action at Hadlock Field on June 21st are available at whoopiepiesofmaine.com or by calling the ticket office at 207-879-9500. Special ticket packages are available that offer Whoopie Pies merchandise along with a ticket to the game. The "Little Whoop" package includes a Reserved Seat ticket to the game along with a Maine Whoopie Pies t-shirt for $30.00. The "Big Whoop" ticket package includes a Reserved Seat ticket to the game along with a Whoopie Pies t-shirt and an adjustable hat for $55.00.